A lot of reports emerged this week that actor Richard Bonehill died. He was identified as having played the endearingly odd alien Nien Nunb in Return of the Jedi. Thing is, it’s Mike Quinn, 50, who played Nien as a teenage puppeteer — and is upset that friends and fans all week thought he’d died. Long story short, I offered Mike the opportunity to set the record straight here at 13th Dimension. He agreed and after a little back and forth, he put together this heartfelt letter to Star Wars fans. I must say it was a bit of a shock to wake up and read that I was dead! That’s not something that happens every day. Seeing headlines everywhere on the newswire of my puppet Nien Nunb in the Millennium Falcon cockpit with headlines such as “Actor who Played Nien Nunb is dead” had me pinching myself a few times just to check. It’s been a tough few days for me to say the least. I don’t want to come across as being disrespectful in any way and am not trying to take away from Richard Bonehill‘s skills and accomplishments, especially his real work, which was his fencing. But because he sold signed pictures on his website of my animatronic puppet in the cockpit, many fans believed Richard was the principal actor and therefore half the world thinks I’m dead — and that Nien is gone too. I cannot deny it’s been really frustrating watching the world give him credit for my character in death. I guess Nien was the most famous (recognizable) thing Richard had done, so the newswires used that. Richard was an extra in Return of the Jedi and when he shot his parts, Nien was to be nothing more than a background alien. That was his role. The head had no moving parts and was just a stiff mask. Then halfway through the movie, George Lucas wanted an alien to play Lando Calrissian‘s co-pilot and picked out Nien from a row of masks. Then they said they wanted dialogue. Visual effects supervisor Phil Tippett knew the mask couldn’t turn its head or speak, so was thinking about putting an oxygen mask over his mouth to hide the fact that his mouth couldn’t move. Even as a teenager, I was already on the movie for all my other creature work, so I suggested turning him into a puppet, which is what ultimately happened. Eye blinks and ear wiggles were added. This meant he could act, react and even speak. So much of his appeal and character was from what I gave him (including the now famous “Muppet laugh”). Also his face was kept uncovered, which meant everyone could see his weird and wonderful face. 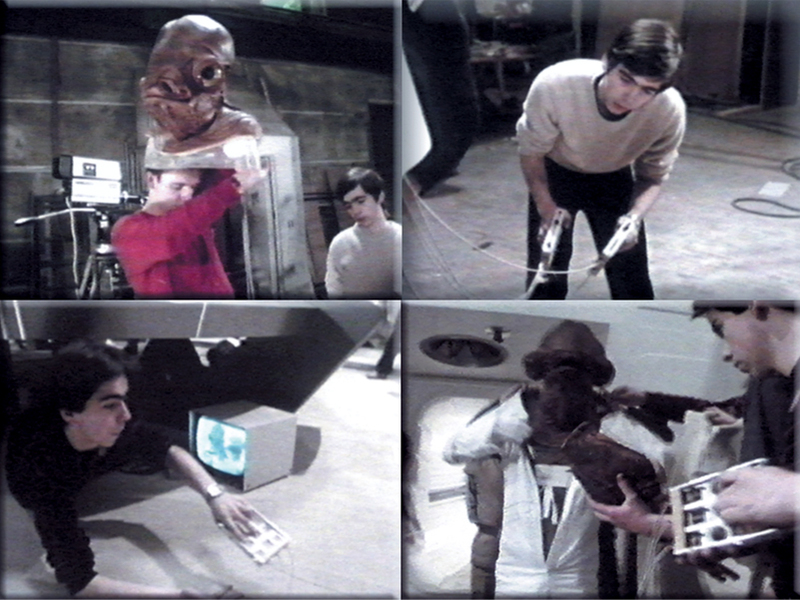 On the set with Admiral Ackbar. Courtesy, Mike Quinn. Seeing the newswires globally proclaim Richard as the actor who played Nien Nunb and using pictures of my puppet and saying he’s dead really upset me because it was not only grossly inaccurate but many people’s first reaction was that it was me who died. It was also doing my career a disservice and I just wanted to have the correct facts out there. I care a lot about my fans and many of them are very good friends. However, some people thought I was wrong to correct this and came onto my page calling me names and viciously attacked me with all sorts of accusations. I’m sad to say it’s still happening and I’m being cyber-bullied. I’ve been hurt by this. I think if they were in my shoes, most would have feel the same way I do. Unfortunately, Richard also put up pictures to sell and sign on his website that featured Ree-Yees, which was not him. It has been mentioned he was in that character in a couple of wide shots but I went through the movie and everything was Paul Springer and myself, who worked closely together to coordinate our moves between the suit and the puppet so it would intercut. Paul and I were the two performers for Ree-Yees. 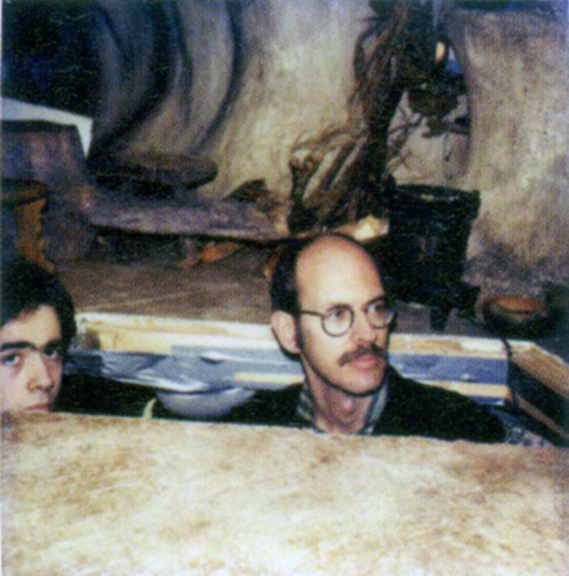 Mike and Frank Oz, courtesy of Quinn. Some people don’t like me speaking of this just after his passing. I think truth is really important, especially in these times of instant media. I never understand why someone must become a saint just because they are deceased. Suddenly you aren’t allowed to tell the truth, but it’s hard for me to have a career if half the world thinks I’m dead. All I’ve done is tell my truth, which I must honor. I will exercise my freedom of speech on my own social-media sites, even if it means facing trolls and bullies. If you don’t like what I have to say, that’s fine. Unfriend me, delete me and block me. That’s OK. There are many thousands who have shown me unconditional love, support and respect compared to the few who have tried to publicly knock me down. Hey, if I blew up the second Death Star, I should be able to deal with a few clowns from the Dark Side, right? Truth wins out in the end, it always does. Star Wars has been just one part of my 34-year career, albeit a hugely important part. That will never change and I’m proud of my involvement and the lovely lifelong friends I have made both from filming and on the convention circuit. We are all in this little world together and must help and support each other at every opportunity. The Force is and always will be with us! Good article. 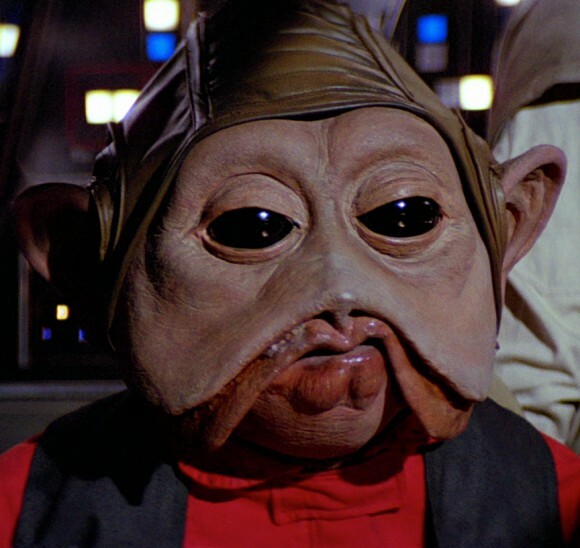 Further definition can be found in the new SW box set which has test shots of Nien Nunb in the cockpit – all clearly Mike. Plus many magazine articles abound. Others may say, “Does it matter?” but glad to see how you have pointed out some of the ramifications.